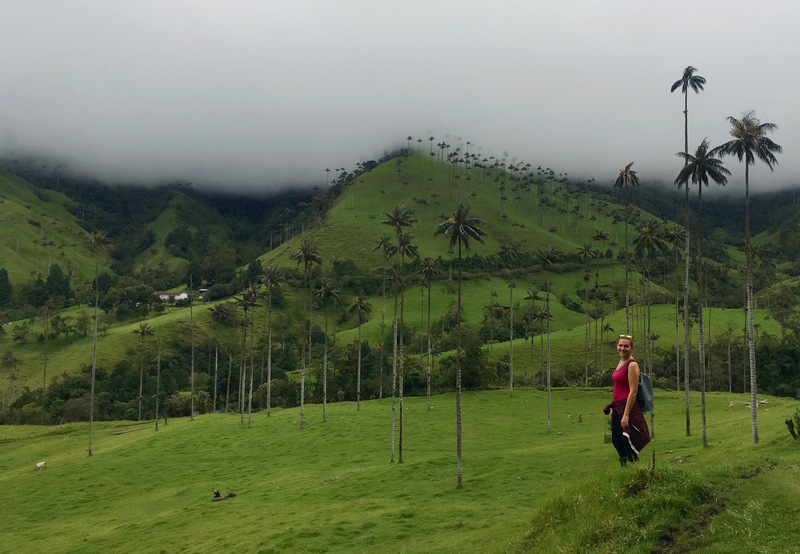 Isn’t Colombia on every backpackers’ bucket list nowadays? Are you dreaming of exploring this diverse country? I spent 6 amazing weeks there and I want to share useful travel information and personal impressions about Colombia in this blog. You will see why it’s so easy to fall in love with this country! To be honest, I didn’t know what to expect before going to Colombia. I heard that it is a beautiful country with super friendly locals but I was also a bit uncertain because of safety issues. Colombia has a long history of civil war, drug war and violent crimes. However, these times are over and the vibrant country is changing. I told myself: “You are an adventurer, you need challenges and sometimes you just have to take risks, so go there and find out how it is by yourself”. And I arrived in Colombia and I fell in love with this country! My best friend joined me for 10 days to travel the Caribbean Coast together and then I continued to Medellin, the coffee region Salento and the Amazonas by myself. I flew from Panama City to Colombia and got a free Visa on arrival for 90 days. (Check out this blog, to learn about an easy solution for presenting Onward-Tickets at the immigration). I left Colombia with the boat in the Amazonas from Leticia to Iquitos (Peru). Most of the time, I took public busses and private Minivans to get around in Colombia. In general, transportation works very well, the busses are on time, safe and the bus drivers are very friendly. I took two domestic flights within Colombia and found out that the airline Viva Colombia is usually offering the cheapest flight deals! The Colombians are among the friendliest people I have ever met. Even considering my limited Spanish skills, I got along fine because the locals always tried to help me. I remember a situation in the bus where we asked a woman if she could tell us where to get off to catch another bus. She didn’t know it, but still tried to help us out. She started asking other passengers and in the end the whole bus was discussing which station is the best for us to hop off. Plus, they found a person which explained it to us in English because our faces obviously told them that we didn’t understand anything. In this situation I realized, what I like so much about Latin America: people talk more to each other, they are outgoing and open to chat to strangers, discuss and laugh loudly and lively. For me, the biggest difference in the attitude of the people is that Europeans do things according to their head and the Latin-American people do it with their heart. I think the best example is to describe it with dancing: Europeans need instructions, the right steps and rules how to dance and the Latin-Americans just do it the way it feels good to them and is fun. They just enjoy the moment. I know, it sounds like a big stereotype, every person is individual and nothing is written in stone, but this was my personal feeling with the locals on my trip. The term Gringo (male) and Gringa (female) has different meanings depending on the country, but in general it’s a Spanish / Portuguese word for a westerner, or let’s say it straight: a white person. In some countries a Gringo is a US American, in others it’s any foreigner from a western country. Etymologists are not sure about the origin of the word, but it already developed in the 18th century. One explanation is, that in some Latin-American countries locals used the term “Green, go!” because they wanted the U.S. military, dressed in green uniforms, to leave their country. Whatever the real origin of this word is, nowadays it’s not only used in a negative way. In places where people are not used to tourists, they were curiously looking at me and using this word in a friendly way. When I was walking on the street, locals greeted me with a big smile, calling: “Hola Gringa! Hola Amiga!” And and by the way … it feels like everyone here is an Amigo/a (friend). If you want to get the attention of a waitress, you just say: “Amiga! Por favor“. In Medellin I joined a Walking Tour and the guide told us that after a long history of war the Colombians are very happy that more tourists are finally coming and they are able to show that their country has more to offer than typical stereotypes. Especially the Paisas (people of Medellin) are very proud of the development of their city, and they really can be: Medellin has transformed from the most dangerous to the most innovative city within only two decades and the locals are eager to show you that! 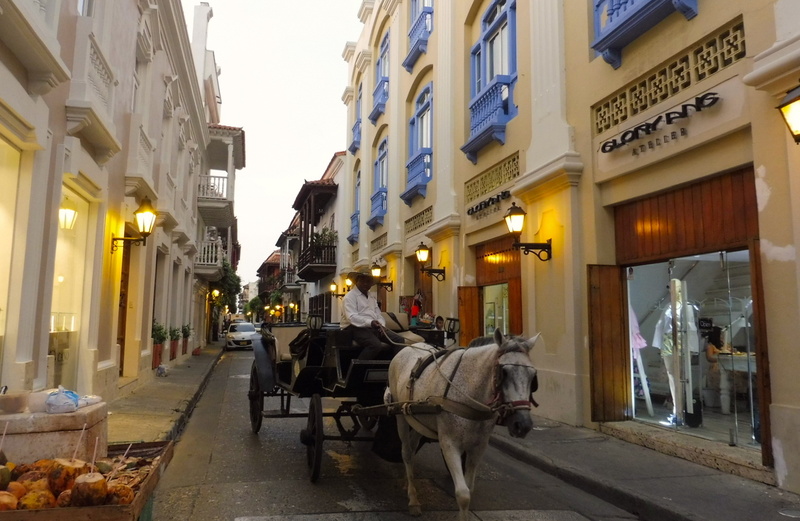 Beside modern cities, Colombia is so diverse, that you can explore old towns with colorful colonial buildings and castles, dance salsa through the night, hike in diverse nature on the countryside, relax on the beaches of the Pacific and Caribbean Coast or get lost in the Amazonas. The country is that big and there are so many things to do, so you can easily spend a few months there. I definitely want to come back to this amazing country. In Colombia, tourism is increasing and the Lonely Planet ranked it as one of the best countries to visit in 2017. However, it is still not run over by tourists and there are a lot of authentic and pristine places to explore. If you want to disconnect from the world, you can easily find a quiet and peaceful place. It feels like the Colombians haven’t started with typical tourists traps yet. 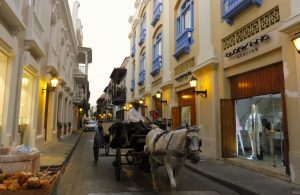 The prices on the Caribbean Coast are higher than in the other places I visited, but in general they are low and it’s easy to travel on a small budget. I spent around 20 to 30 USD a day for a dorm, food and transportation. 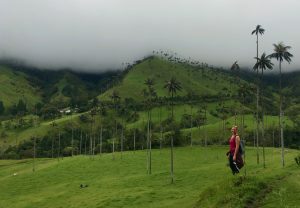 Surprisingly, I felt very safe as a female solo traveler in Colombia and I was moving around without any fear! However, I don’t want to pretend that everything is always easy-peasy. I started backpacking almost 10 years ago, so I think I can call myself an “experienced” traveler. As an Austrian girl, I have to say that we are very spoiled with high security standards in Europe. In countries like Colombia, the crime rate is higher and I met some travelers who got robbed or their things stolen. Luckily, this never happened to me. There is no general rule on how to travel safely and how to avoid dangerous situations, but what I learned is, that it’s important to listen to your intuition and follow it. I know my strengths and weaknesses and take them into account before taking decisions. I don’t have to prove anything to anybody, so if I don’t feel comfortable with a situation or place, I leave. I always talk to other travelers and locals and they usually give good advice on which areas to avoid, especially at night. For example, I don’t like night buses, so I try to avoid them, I don’t go to sketchy areas at night or get totally drunk without finding back home or having friends with me. With this behavior, I had no problems, I felt very safe and I had an amazing time! So if anybody is going on her/his first backpacking trip, I think Colombia is not the easiest country to start, but if you are aware of some risks, you will have an unforgettable time in this beautiful country! Please click on the links to get to my other blogs with detailed information about these places! I’ll travel next february to Colombia for two months. Very interesting your blog Sandra. Your information will help me! Kisses?